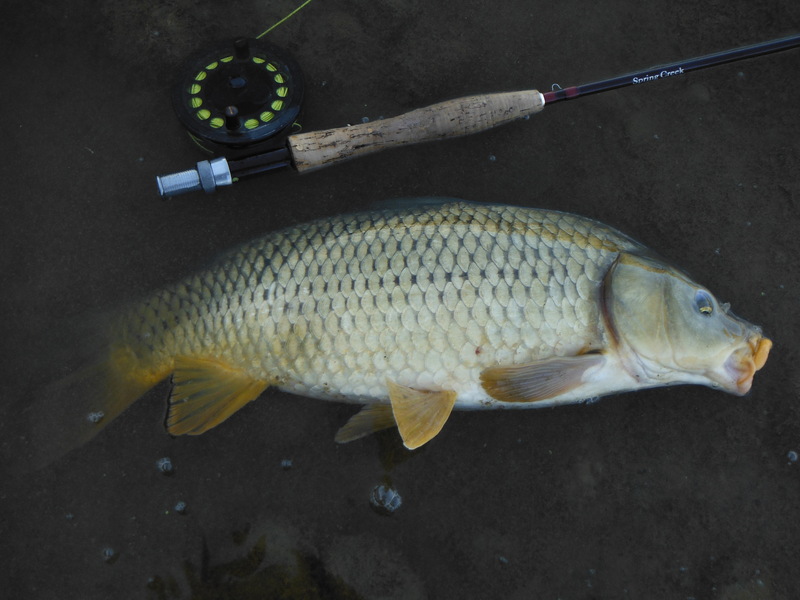 Fly fishermen spend a lot of time thinking about rods and lines and reels and flies. Fair enough, that all makes sense. But here fishing the local river for much of the year I would consider a decent pair of polarized sunglasses and a nice hat to shade them to be among the most important bits of kit to throw into the car when heading off. And another thing that is equally important is a decent pair of neoprene boots. I had a pair that the puppies chewed up so badly they had to be abandoned. These bloody dogs chew everything. Just recently the black dog, Boris, took a big chunk out of Bill Bryson and Grandad appeared one morning last week only to discover that he had left his book outside the previous night and that Boris had swallowed a sizeable chunk of recent history, including much of the Victorian era. 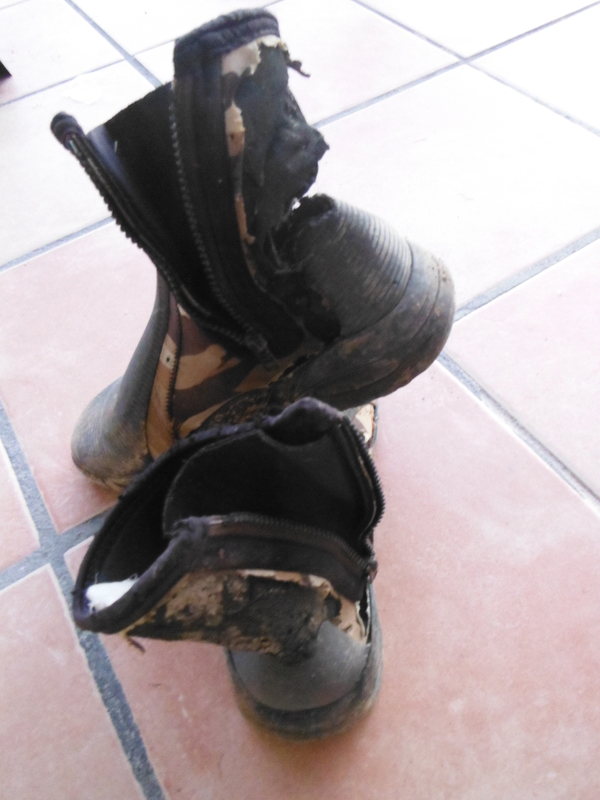 Thankfully, back in the boot department, all was not lost once the puppies had ripped up my boots because up in the loft I came across another pair. But these were beginning to reach the age of retirement and a sizeable hole appeared just behind the ankle. I probably would have worked these to death had I not been invited to do some televised fishing for national TV and so, out of vanity, I popped into Decathlon sports shop in Fuengirola and treated myself to a brand new pair. The funny thing is that the film people actually included an underwater shot of myself and John Langridge walking along the river bed so I am pleased that I appear less scruffy than normal. In my new boots I feel I look at least as impressive as Brad Pitt did in “A River Runs Through It” though some viewers may disagree! Let me tell you about these new boots. They are a bit too big for me and so I need to wear sports socks to stop my feet sliding around. They have hard rubber soles and so they are pretty much all terrain vehicles which can get me in and out of rivers and across stones and rocks and thorny scrub. Perfect! The film crew who had arrived with neoprene chest waders also invested in similar boots and were far more comfortable wet wading in shorts and T shirts. The boots managed to lead me towards a few nice gipsy barbel during the filming and I hope that this is just the beginning of an enduring and successful partnership. I just need to keep them away from the dogs!